Mediterranean tapas/mezze style eating is pretty popular in my family. With a lot of summers spent in Spain when I was younger and a definite Greek influence from our neighbours who pretty much became family, we seem to have adopted a bit of a Mediterranean attitude towards the way we eat. There’s nothing more inviting than a table full of loads of different tasty treats to try. This way of eating inevitably always involves dips, tzatziki being the most frequently made, simply because it’s so ridiculously easy. I went for something a little bit different this time though. 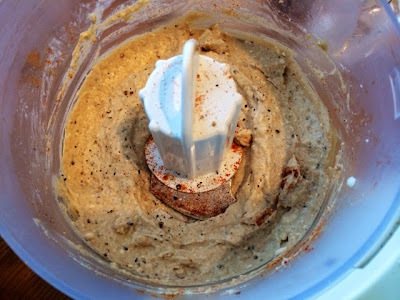 This recipe originally started out life as a baba ganoush, but I find baba ganoush can sometimes be a little bland, so I added feta (because everything’s better with cheese). 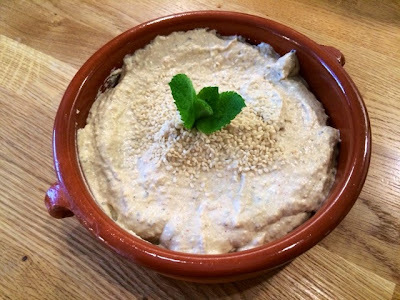 The flavour of the tahini also gives it more than passing resemblance to houmous so I guess this dip is a bit of a mish mash of a few different things. 2. 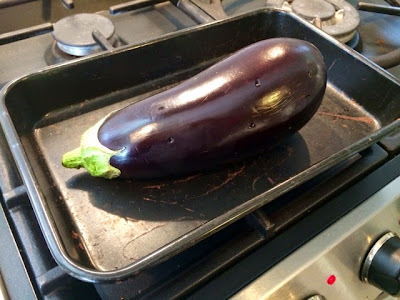 Place aubergine on a baking tray and pierce all over with a sharp knife (this will stop it from exploding in the oven). Bake for 1 hour. 3. 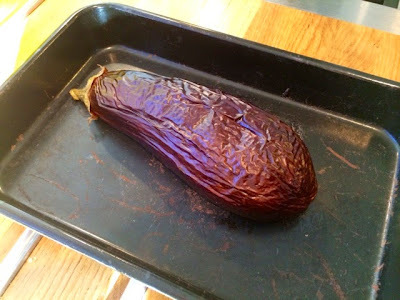 Remove from the oven and it should appear collapsed and shrivelled. It will now be really easy to peel off the skin and scoop out all the soft flesh inside. Leave for a few minutes to cool before handling. 4. 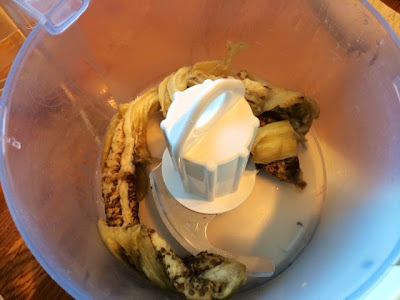 Scoop the flesh into a food processor. 5. 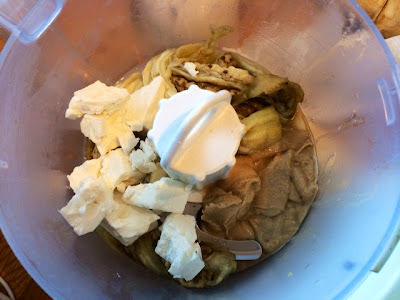 Add the feta, tahini paste and garlic and blend. 6. Add all the spices, salt and pepper and continue to blend adding the lemon juice at the end. Taste as you go and adjust the spices and seasoning accordingly if you think it needs it, everybody’s tastebuds are different. 7. 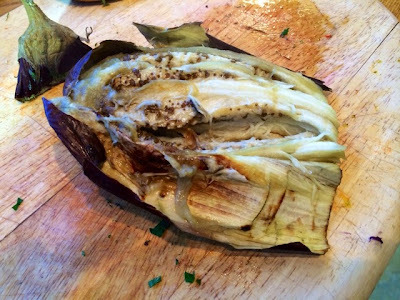 Serve with sesame seeds and fresh herbs to garnish. Drizzle some pita bread with olive oil and heat it gently in a griddle pan (normal frying pan would suffice) for dipping.